Willow bark extract (or salicin) is a natural anti-inflammatory that is chemically similar to aspirin. It is made up of a glucose molecule attached to a molecule of benzoic alcohol. Over the years it has been used effectively as one of the many ingredients in weight and fat loss supplements. Where Does Willow Bark Come From? Salicin can be extracted from the bark of willow trees, which are members of the Salix genus (thus the name salaicin). These trees are found in the moist areas of cold and temperate areas of the northern hemisphere. Other than giving us salaicin, willow trees are valuable for the production of honey and art charcoal. The use of willow bark and salicin as a weight and fat loss aid is extremely well studied. There is a huge amount of information that supports the efficacy of salicin when it was combined with other compounds such as ephedrine and caffeine. One notable study found that when using a mixture of those three compounds, subjects lost an average of 16% body fat over 8 weeks compared to the 1% loss within the placebo group. Additionally, treated individuals loss less lean mass compared to those receiving the placebo (Kalman et al, 2000). Most of the research looking into willow bark involves salicin being a part of a stack of other weight loss ingredients. It is therefore difficult to determine the individual effects of willow bark. The most proven weight loss stack is ephedrine, caffeine, and salicin (or aspirin). Unfortunately ephedrine is now banned for use in supplements, so such dietary aids are not unavailable. However, there are alternatives to ephedrine, such as synephedrine (from bitter orange or Citrus aurantium). The efficacy of such supplements, although appearing promising, is not as well researched as ephedrine. Willow bark may cause some digestive upsets and appears to be less well tolerated than aspirin. In rare instances, individuals have a hypersensitivity to salicin and aspirin, in which case, products containing salicin should be avoided. Nevertheless it is still a relatively safe compound when taken at recommended doses. Studies looking into using weight loss preparations generally include around 7.5 to 15 mg salicin (Onakpoya et al, 2011), taken twice a day before meals. With weight loss products, it is always important to follow manufacturer's directions and do not exceed the allocated dosage. 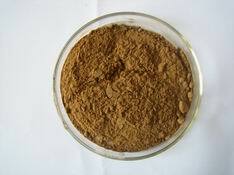 Salicin or willow bark is very rarely found as a stand-alone supplement. Rather, it is a common ingredient in fat burners. It can also be found in some pre workout supplements. Willow bark works best when stacked. As mentioned above, it is often stacked with caffeine and synephedrine into a single fat burner. These can then in turn, be stacked with other fat loss supplements such as fat loss proteins and fat metabolisers. In this case, it is important to take note of the amount of certain ingredients taken in, as quite a few products may contain the same stimulants.